As the leaves continue to fall in Victoria, Canadian Sport School (CSS) athletes are back to work in the gym and the classroom as the innovative program enters its fifth year. The 2015/16 class is the largest yet, with 32 of Victoria’s best high performance student-athletes in grades 10-12 filling the roster. The CSS Victoria is a critical initiative of the Canadian Sport Institute, School District 62, PISE, ViaSport and the Province of British Columbia. The program provides a system for student-athletes to attend their high schools for half the day, and then head to the Canadian Sport Institute at PISE to engage in strength, sprint and basic gymnastics training, followed by supervised study time in the CSS classroom. Students earn academic credit while creating more time to study, train and recover. 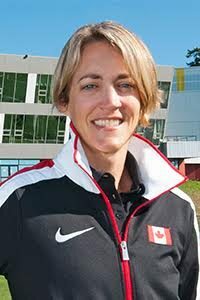 This year the CSS welcomes its first Paralympic hopeful, Melissa Pemble, an alpine skier gunning for the 2018 Paralympic Games. Pemble, a grade 10 student at the South Island Distance Education School, hasn’t let her cerebral palsy deter her from competing in sport. Beyond the gold and silver medals she won in skiing at the 2015 Canada Winter Games, she is also the 2015 BC Champion in para cycling. For 2016 she is aiming to become national champion in both the giant slalom and slalom as she trains for the 2018 Paralympic Winter Games in Korea. Also headlining the roster this year are Caroline Crossley and John Wilcox. Crossley, a member of Rugby Canada’s National Women’s Sevens Program, is a third year CSS student starting grade 12 at Oak Bay High School. She is a silver medallist from the Youth Commonwealth Games (September 2015) and is looking to play in her first IRB Tournament with Team Canada Sevens. John Wilcox is also a third year CSS student and member of Canadian Sport Institute’s Cycling NextGen team. He is the 2014 Canadian Cadet Champion in the individual pursuit, and just recently took 8th place in the team pursuit at the UCI World Junior Track Cycling Championships. For 2016 he is aiming to break the Canadian Junior Individual Pursuit Record in the 3km. Visit www.TheCanadianSportSchool.com to view profiles on all Canadian Sport School athletes. The Canadian Sport School Victoria is an important initiative of the Canadian Sport Institute, School District 62, PISE, ViaSport and the Province of British Columbia. The Canadian Sport School helps to alleviate the pressures experienced by high performance secondary school athletes and ensure that our future Olympians, Paralympians and National Team members have all the skills and resources needed to continue to progress as high performance athletes, while excelling both on the playing field and in the classroom. Delivered in partnership with the PacificSport Centres, there are three more campuses located in Kelowna, Prince George and Fort St. John. An Information Night will be held on February 25, 2016 in advance of the April 1st application deadline for the 2016-17 program.